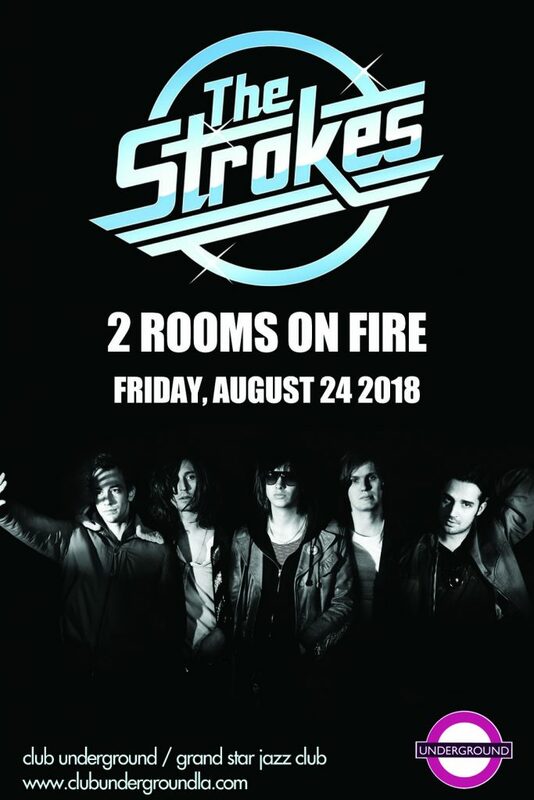 THE STROKES NITE Returns FRI Aug 24! 2 FLOORS ++ DTLA ++ GIVEAWAYS ++ RSVP!! Be sure to join the Underground as our DJs Larry G. Lawrence & Diana will bring their always wonderful and energetic tune selections with them and help you dance your way into the weekend! The 2 Rooms will definitely be On Fire this night as Underground presents a night filled with the sounds of The Strokes + New Wave + Britpop + Electropop + Indie + Post-Punk + Dance + 60’s-Now! !